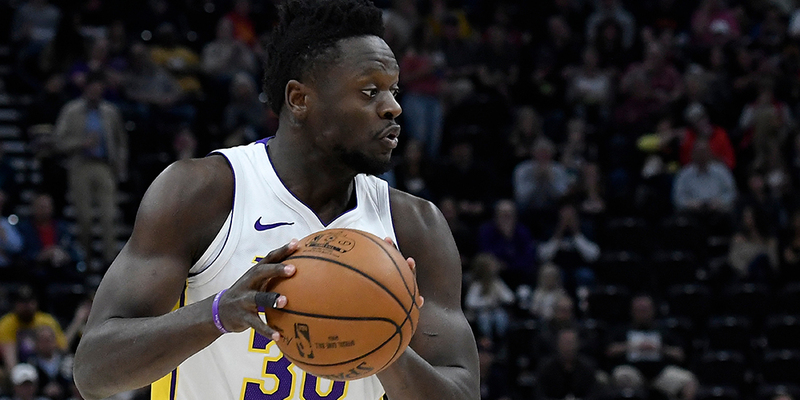 Should teams splurge on an offer sheet for Julius Randle? Should the Lakers match it? That depends on whether they can fix his defense. From contributors Bjorn Zetterberg and Jordan Brenner. When high draft picks struggle initially and become free agents for the first time, some folks around the league refer to this as their “second draft.” The hope is that a new team can unlock the potential that once made them top picks. Over the next few weeks, we will examine players who fall into that category. First up: Julius Randle, by contributors Bjorn Zetterberg and Jordan Brenner. The Lakers are after some big fish this summer. But as they chase LeBron James and Paul George in free agency and try to trade for Kawhi Leonard, they have a host of other decisions to make, ones that will loom particularly large if their ambitious plans don’t materialize. Chief among them: What do they do with Julius Randle, a restricted free agent?